I was trying to think of an appetizer to bring to my friend's Christmas Eve/birthday. She and her family, they're bacon people. 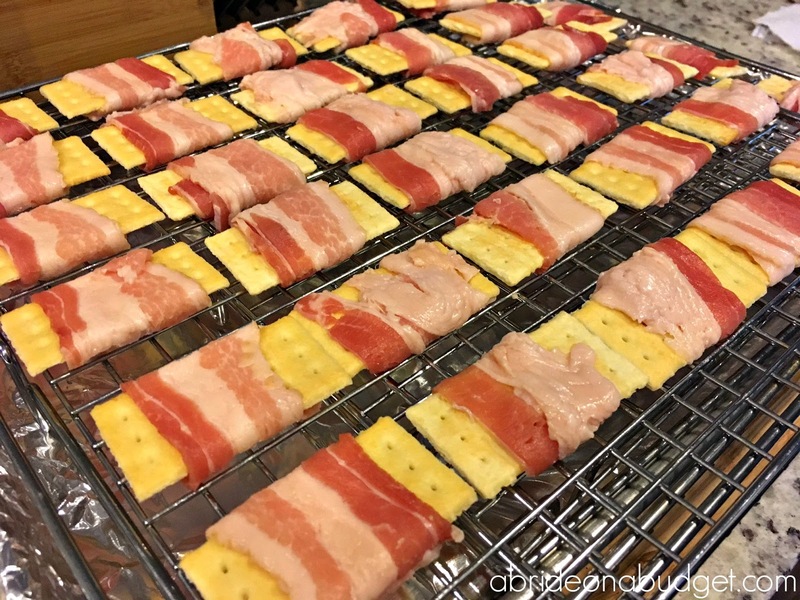 There are people who like bacon, and then there are bacon people. 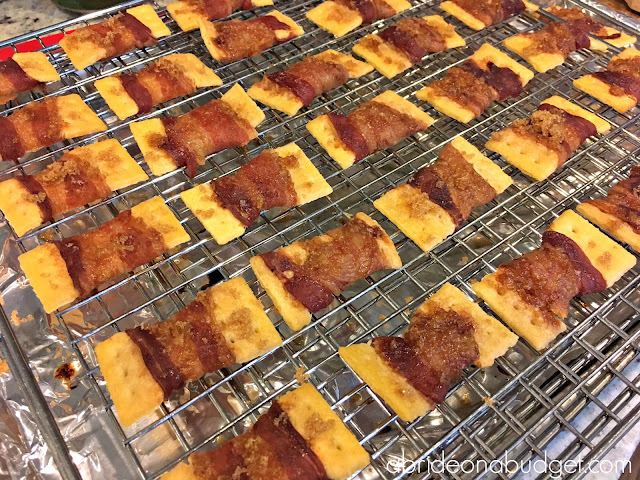 But no matter what, bacon is a crowd pleaser. So I created what I've been calling bacon crack: bacon-wrapped crackers topped with brown sugar. These are my absolute most favorite appetizer I've ever made. They're so good. And they're the perfect bridal shower appetizer, especially if you're in charge of the menu. They're simple to put together, slow cook for a while, and don't need any attention so you can go on cooking the rest of the menu. And they'll please everyone (unless, of course, you have a vegan at the party). This recipe is enough to make one batch of 36 crackers. You might want to make a couple batches depending on how many people you have, how much food you're planning to make, and how many you think you're gonna snack on before you serve them. Put a cooling rack on top of a foil-lined cookie sheet. 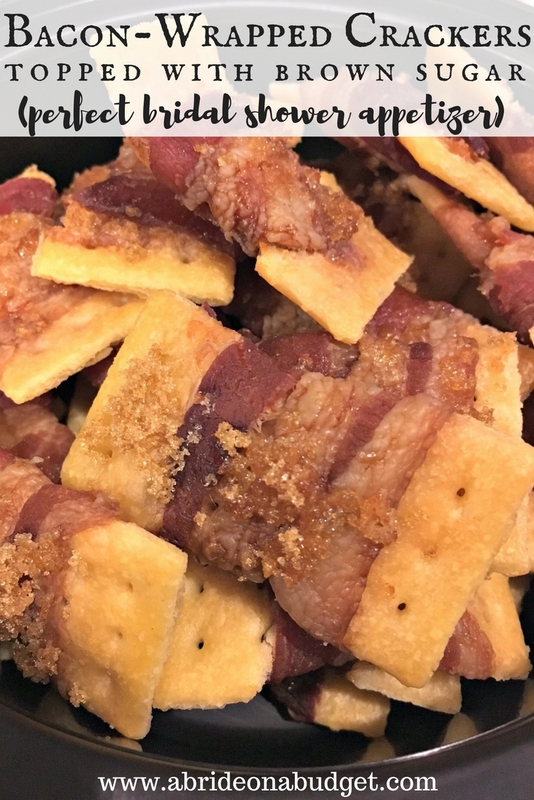 Wrap one-third of bacon around the center of a cracker. Place the cracker, bacon-fold size down, on the cooling rack. 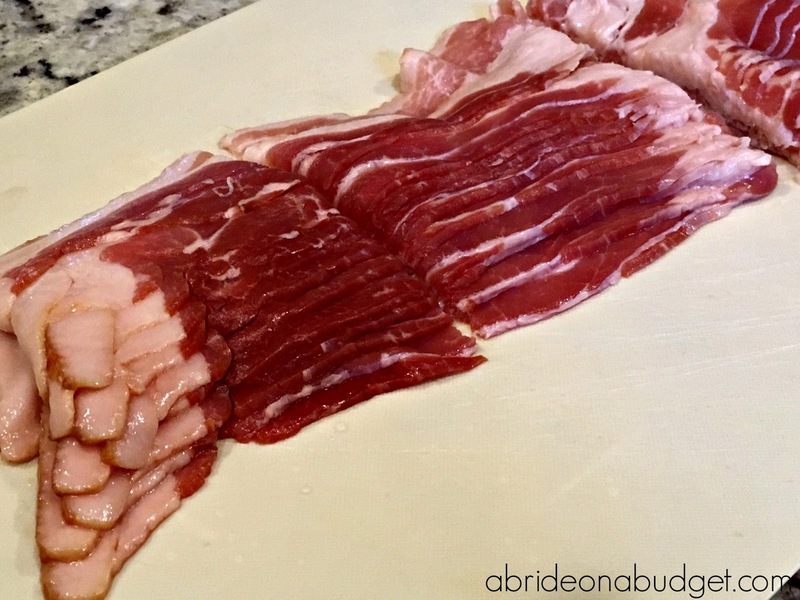 Continue until the bacon it done. 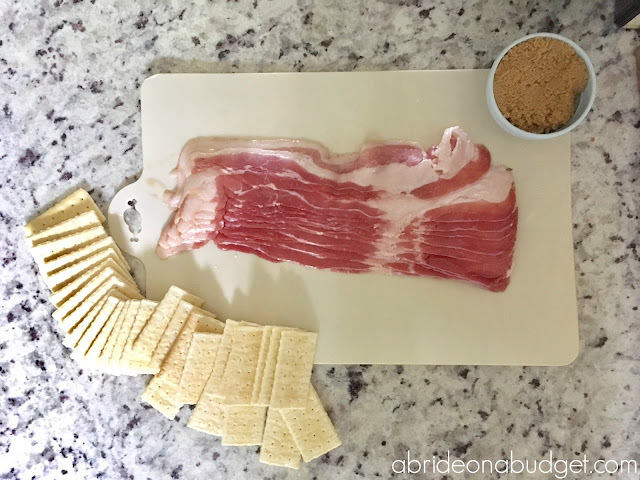 Sprinkle brown sugar on top of the bacon. Now, you're going to want to eat these right away, but try and resist. These are a lot better if you let them cool completely before you serve them. 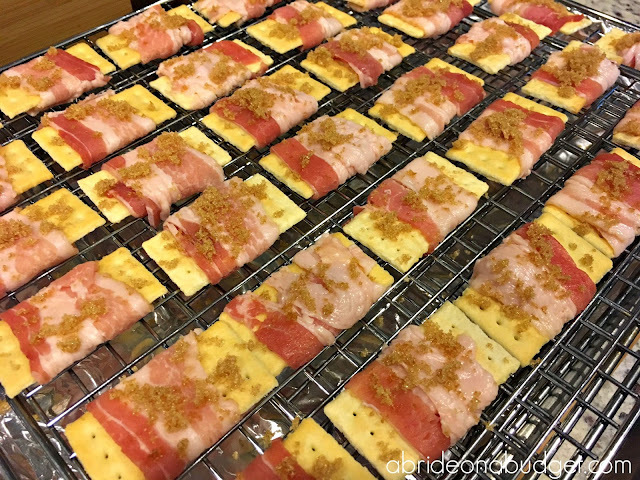 Waiting gives the crackers a chance to harden up again and it gives you a chance to finish cooking for the bridal shower. BRIDAL BABBLE: Would you make these bacon-wrapped crackers for your bridal shower? Are you hosting a bridal shower? 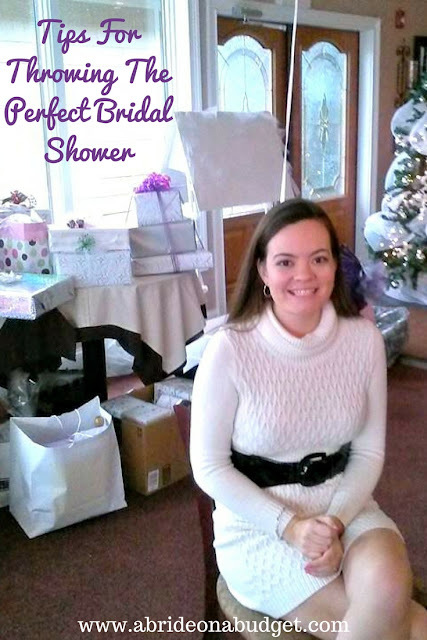 Check out our tips for throwing the perfect bridal shower.